The channel industry examined by Techaisle’s 2018 SMB & midmarket channel research survey (separate studies conducted in the US and Worldwide) is very different from the community that existed a decade ago. 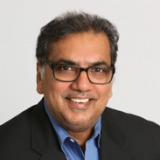 Once a staid domain in which technologists provided IT infrastructure support to local customers, the channel is being reshaped by five key issues: cloud, and its wrenching effect on all aspects of the channel business structure; managed services efficiencies, especially vs. the pending opportunity associated with digital transformation; increasingly-complex data center technologies; integration demands that are expanding in multiple directions; and the need to sell on and deliver to business rather than technical outcomes. Let us discuss four key questions arising out of the research that is of interest to IT vendors and distributors. Question 1. What are the top channel trends? A lot has been written about cloud so let us discuss the other four areas and the remaining three questions. Digital transformation and managed services: Digital transformation, “the next big wave” aligns poorly with managed services: digital transformation requires a mix of on-site and remotely-managed capabilities, packaged discretely for individual customers – and this isn’t what managed service providers aspire to. Most partners today are offering digitization and digitalization and not complete digital transformation. Typically for Dell partners, although excited and doing better than HPE or Cisco or IBM, the partners are somewhat challenged in connecting Dell’s portfolio with cloud, managed services and digital transformation. Data center technologies: are another source of challenge for partners. Data center products – especially converged and hyperconverged systems that combine server, storage, networking and virtualization technologies – are much more complex than the client and server technologies that many channel members have focused on in the past. Typical “one stop shop” VARs lack the technical depth needed to work with contemporary data center products. Specializations in current solutions take time, cost money and require skilled staff who may not be affordable for – or even available to – channel members. Orchestration & Integration: The nature of integration is changing. In an environment where core resources may be located in many different physical environments, “systems” integration becomes less a matter of physical connections and more an issue of automation and orchestration, which call for a distinctly different skill set. Meanwhile, customer interest in a multi-platform world centers on data rather than systems integration: how can my dispersed systems exchange data, securely and with the low latency needed to support workloads that span different environments? The issue of integration will become more complex as businesses embrace IoT and analytics to provide a far more detailed view of their markets, and AI to make sense of the vastly-increased base or evidence that is used to support ever-more-rapid decisions. Business Outcomes: Beyond all of the technology-driven change that the channel is adapting to, there is a shift in how customers are acquiring IT solutions. The ability to talk credibly to business outcomes vs. technology issues has become the key to selling solutions in today’s market. Most vendors lack business-savvy sales staff – the issue is even more acute in channel firms. Question 2. What are the future channel imperatives? Recent work by Techaisle shows that the need for updated understandings of channel management imperatives has expanded beyond the tactical questions of sales or management metrics or marketing activities. This work has identified twelve fundamental areas where conventional wisdom has not kept pace with the business needs of the channel. Question 3. Where is the channel in its digital transformation offerings? Unlike cloud or CI, digital transformation is – at least from a customer perspective – more a matter of strategy than technology. There are several levels at which this kind of engagement can focus. The most basic level – more properly called “digitization” – involves conversion of paper records or manual processes into digital formats. SPs, who are not particularly involved in digital transformation as a group (with only 22% reporting that they work with customers on digital transformation today, a rate that is less than half that for any other channel type), are most likely to cite digitization as their key digital transformation focus. Interestingly, half of IT consultants – the group that claims to be most active in helping customers with their digital transformation journeys – are also focused on this relatively-basic set of tasks. The next step on the digital transformation path, “using digital technologies to automate processes for better business outcomes,” is also sometimes referred to as digitalization. This is the most common area for SIs, MSPs and VARs to work with customers. The most advanced mode of digital transformation goes beyond automating existing processes, to capitalizing on the options and opportunities that digital infrastructure and data present to the enterprise. From a channel perspective, this represents a highly customized engagement, combining strategy work with an ability to identify appropriate technology solutions and roadmaps. Today, only VARs are frequently engaging with customers in these types of initiatives. Question 4. What does the channel want from vendors & distributors? In many ways, the core challenge in channel management is determining the optimal allocation of enablement (effort) and investment (funding) options. This always entails a trade-off; a “Frankenstein” program capturing the best options in all areas would be prohibitively costly, so channel marketing management needs to allocate attention and investment to the areas that are best aligned with their specific goals. The phrase “specific” is telling in this context: a survey can capture channel preferences, but the value of the options themselves needs to be understood in the context of the vendor’s market objectives and also, with respect to the partner’s business needs. That said, data that illustrates the highest-value offerings is an important starting point for any vendor’s channel strategy. Incentives & Product training – critical in complex and rapidly-changing markets – and incentive programs, which are important to many partners’ economic balance, are atop the list, followed closely by pre- and post-sales support, which both vendors and partners require to ensure customer success with the solutions that they deliver. Webinars - What is the best way to deliver the training that 56% of partners view as important? A follow-up survey questions shows that webinars are the most popular option, and that web training modules are also commonly viewed as a “best method” for training delivery; this fits with the ‘just in time’ knowledge acquisition pattern that is observed earlier in this document. On-boarding training, or a rapid ramp-up of new partners, is important to both sales/marketing and technical professionals within partner organizations and is (or should be) prominent in the vendor channel marketing ‘toolkit’. Techaisle channel survey data shows vendors & distributors can and should be doing to help partners to position and deliver complex technology solutions to SMB clients. Data shows that support requested by partners runs the process gamut from prospect identification (provide sales leads, 50%) to delivery of post-sales support (52%). The data indicates that MSPs and SPs have very similar requirements, while VARs indicate a strong need for support in packaging and delivering mobility solutions. Interestingly, all channel types afford low rankings to “provide market knowledge” and “explain business model” – despite the fact that these are key impediments to success in cloud, which is in turn important to success in today’s channel. This is a case where an offering may be needed but not welcome – which makes positioning of this understanding tricky for vendors (or third parties focused on channel development). Worldwide focus on SMB and Channel Partners market research and industry analysis.